Monisha Kaltenborn, the first and only female team principal in Formula One, has left her post at Sauber, according to the BBC. Kaltenborn had been Sauber’s team principal since 2012 and reportedly left after a disagreement with team owners Longbow Finance over the running of the team. Swiss investment firm Longbow Finance bought the struggling backmarker team in July 2016, taking it over from then-owner and team namesake Peter Sauber. The move secured the team’s future in F1, which has been rocky ever since BMW left them in 2009. Since then, we’ve seen Sauber offer up its seats to questionable pay drivers, promising seats to too many drivers to the point where Australian authorities nearly seize the team’s assets at the first race and most recently, announce a switch to Honda power units in 2018. Honda, of course, has utterly failed to produce a competitive F1 engine all year long—such to the point that McLaren is looking for anyone else to provide its power units instead. Sauber currently sits ninth out of 10 teams in the constructors’ championship, only beating the DNF kings at McLaren-Honda. In other words, I can understand why Longbow might want a shake-up. There is significant speculation that what caused her to leave the team is that she wanted equal treatment between the two drivers Pascal Wehrlein and Marcus Ericsson. Whereby the team’s owners wanted to give preferential treatment to Ericsson, the Swede, who is closely linked to the group that bought the team. Sauber, a team with a long, known history of getting into awkward situations with pay drivers, allegedly wants to make the driver with more ties to Longbow Finance its number one driver. If that’s the rub instead of all the other issues that have plagued the team over the years, then good luck with Honda, bros.
Kaltenborn was a breath of fresh air in the male-dominated sport when she became F1's first woman team principal in 2012. She became the team’s CEO starting in 2010 and even bought an ownership stake in the team in 2011. Since then, Claire Williams has come close in her role as deputy team principal at Williams, stepping in as acting team principal as her father Sir Frank Williams hasn’t been well enough to manage the team’s day-to-day operations. Sauber has not issued any public comment on Kaltenborn’s leaving. It is unclear who will replace her in the interim, as no back-up has been named as the team heads into this weekend’s Azerbaijan Grand Prix. Former backmarker team principal Colin Kolles of Hispania Racing Team (and trying to blackmail Mercedes team principal Toto Wolff) fame is being considered as one possible replacement Kaltenborn, per Motorsport.com. Kolles’ current project is the lone privateer LMP1 that raced at Le Mans, which was the first mechanical retirement of this year’s 24 Hours of Le Mans. Fun times! Longbow Finance SA regrets to announce that, by mutual consent and due to diverging views of the future of the company, Monisha Kaltenborn will leave her positions with the Sauber Group effective immediately. We thank her for many years of strong leadership, great passion for the Sauber F1 Team and wish her the very best for the future. Her successor will be announced shortly; in the meantime we wish the team the best of luck in Azerbaijan. 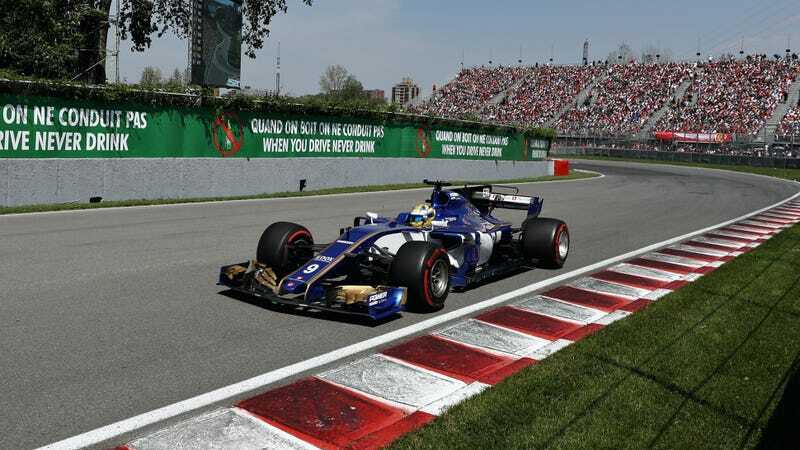 However, Sauber refuted claims that Kaltenborn stepped down over a disagreement with Longbow Finance as to who should be the team’s number one driver. The team claims to be treating both drivers equally, so we’ll see if it plays out like that for the rest of the season.